CeoDental Seminars was founded in 1999 by Drs Tony Rotondo and Michael Mandikos. Originally an online service, CeoDental sought the best speakers on the international lecture circuit and recorded their lecture for viewing over the internet. At the time, the format was cutting edge and well advanced in comparison to any other online education service. The innovative format allowed users of the website to view the full powerpoint presentations (in dual slide format) of the speakers, together with the audio and video of the speaker presenting the lecture, as well as a written transcript of the spoken words. Users did not even need broadband access to see the presentations and CPD points were awarded from the State University of New York at Buffalo. Some of the speakers involved with the website were: Ed McLaren, Didier Dietschi, Ken Malament, Bob Winter, John Beumer, Urs Brodbeck, Howard Farran, Stephen Chen, Gary Reiser, Terry Donovan, Klaus Mutterthies, Shane White , and Richard Lazzara. (The original CD recordings are still available for order by contacting CeoDental Seminars). Since 2005, Ceo Dental Seminars has focussed on providing continuing dental education through very popular 2-day lecture programs held each year at Surfers Paradise, on Queensland’s Gold Coast . These lecture programs have been presented in the most part by Drs Tony Rotondo, Michael Mandikos and Harry Hughes and have also featured local and international guest speakers. 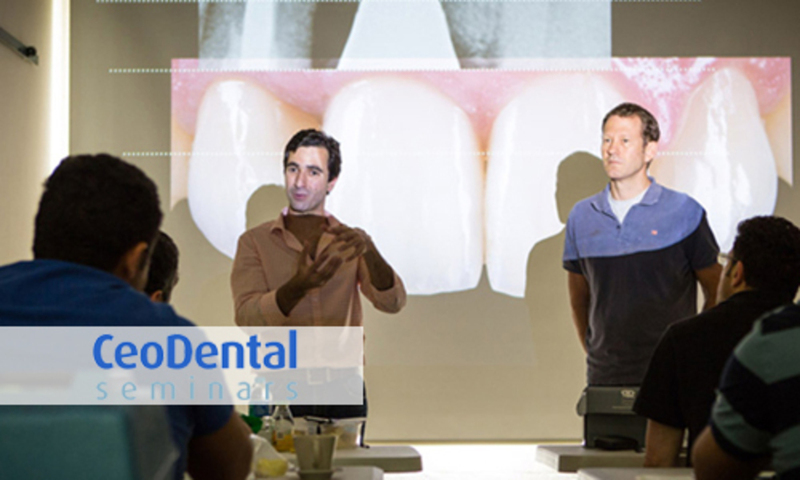 CeoDental Seminars has provided hands-on programs in composite resin dentistry, and in 2007 we introduced the Mini-Residency in Prosthodontics, a nine-day, three module program on complex restorative dentistry for the General Practitioner.